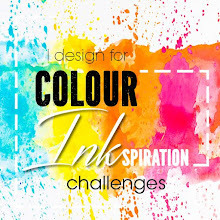 Hello and Welcome to our Colour INKspiration blog hop! This week we are using some gorgeous colours that to me say vintage!! They are: Early Espresso, Marina Mist and Soft Suede. So, I was super keen to explore some 'new' goodies from our NEW Annual Catalogue, and I've incorporated them into my card. They are: Embossing Paste and the Pattern Party Decorative Masks; Very Vanilla thick bakers twine; Glitter Enamel Dots; and this lovely new stamp set - Floral Sentiments. I coloured the embossing paste with a drop of Soft Suede reinker, and used the lovely lattice mask for my background. The stamped image is stamped with Early Espresso, and I watercoloured the flowers using Marina Mist. Because the ink is water based, I have some lovely bleeding from the Espresso ink into my Marina Mist flowers which I think is just gorgeous!! I've finished off the flowers with a coordinating glitter enamel dot. These dots are ombre shades so there are so many possibilities for colours - how great is that!! Now it's time for you to hop along to the fabulous Bronwyn to see her gorgeous project!! And to add your fabulousness to our challenge, head to our facebook page and join in the fun!! 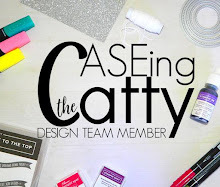 And, if you can see yourself creating cards and sharing your love of papercrafts while inspiring others, perhaps you might be interested in the Stampin' Up! Business opportunity - please contact me to find out how. Julia, this is gorgeous! 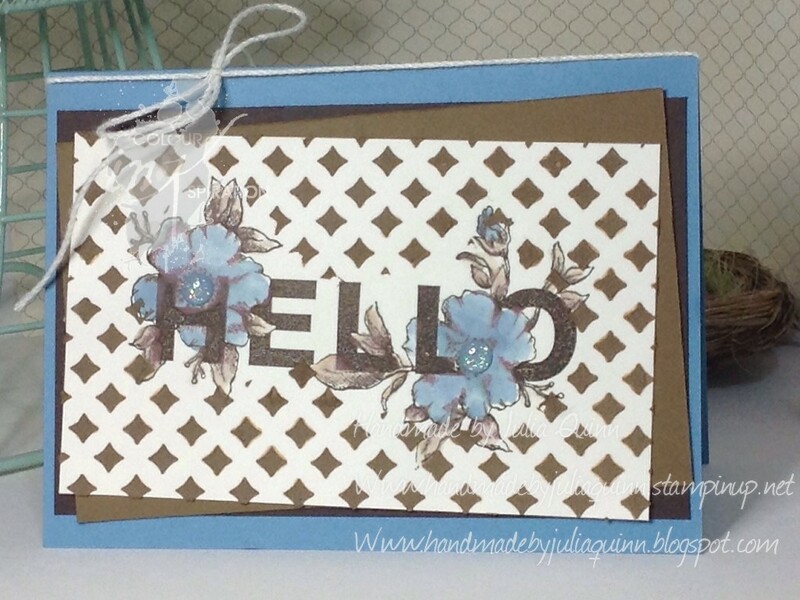 Love how you've used the lovely new Floral Sentiments stamp. Thanks Kelly. I love these sorts of images. So versatile! So beautiful. You have made that stamp more appealing than the catty shows it with your beautiful soft watercolouting- and yes I love how the brown bleeds a little into the blue. 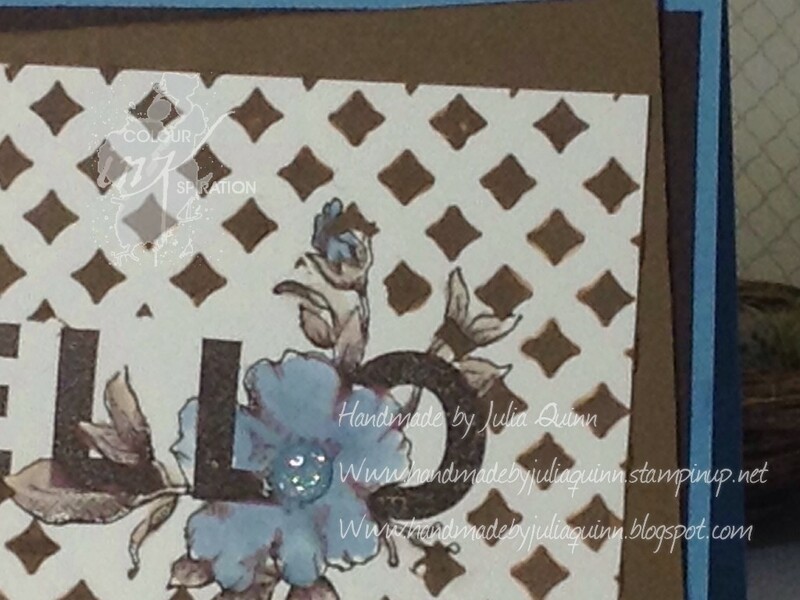 Awesome work with not getting the paste too close to your stamped image! Thankyou Liz. The stencil makes it super easy to work astound the image. Easy and fun! Beautiful Julia. 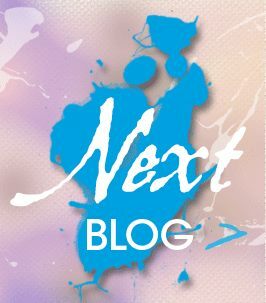 I love the idea of applying the Embossing Paste around the image. THank you Lou - I'm having fun playing with the embossing paste!! Beautiful Julia. I just got that stamp set so can't wait to play! I love how you did the background around the stamp! Gorgeous use of the colours. Gorgeous use of the colours, new embossing paste and stamps! Much to love about this project. Thank you Bronwyn - always fun playing with new goodies!! Love, Love,Love, OMG! I love this card! TFS! Aw thank you so much Gloria, I'm glad you love it too!! Thank you Nikki - I love the example in the Catalogue with the sheet music so my inspiration came from there!! lovely colours with this stamp set! Thank you Esther! I agree.